Matt Jones has made the best start of six Australians trying to secure a place in the US Masters by winning the Texas Open. Jones fired an opening round three-under 69 to sit in a tie for 17th, three shots behind the leader Kim Si-woo. The 38-year-old's only Masters appearance came in 2014 and he missed the cut after rounds of 74 and 78. Rod Pampling and Aaron Baddeley made steady starts to finish one under but Curtis Luck (73), John Senden (74) and Cameron David (74) struggled at TPC San Antonio. Si-woo reeled off five birdies in six-holes en route to the first-round lead. The South Korean carded six-under-par 66 for a one-stroke advantage over Mexican Abraham Ancer, Venezuelan Jhonattan Vegas and Americans Chris Stroud and JT Poston. Kim's place at next week's Masters is already assured but the four players behind him need to win on Sunday to punch the final ticket to the first major championship of the year. A strong week would also be a nice tonic for world number 61 Kim, who has struggled over the past month. Starting his round at the 10th, he was plodding at even par after seven holes but birdied the next two with putts of five feet before slipping with a bogey at the first. He responded magnificently with five birdies in the next six holes to grab the lead. "If I'm reading (the greens) good I can putt well," he said. 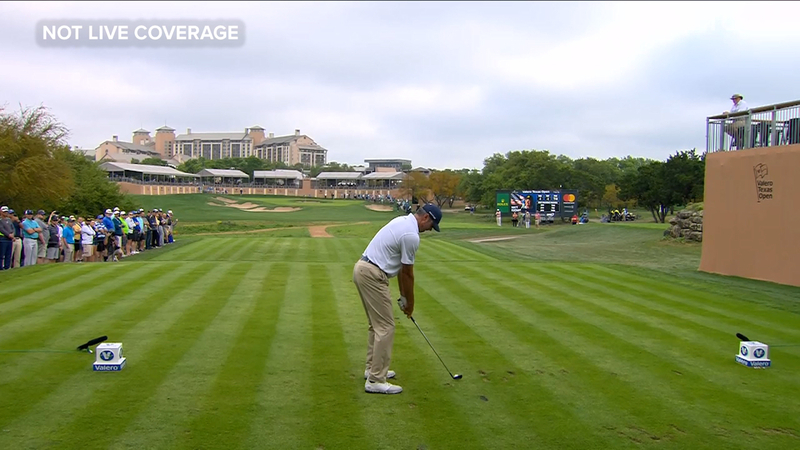 Catch all the action from the Texas Open on Golf TV.